Microsoft is working with NASA on a new device called Project Sidekick that’s designed to empower astronauts aboard the International Space Station (ISS). 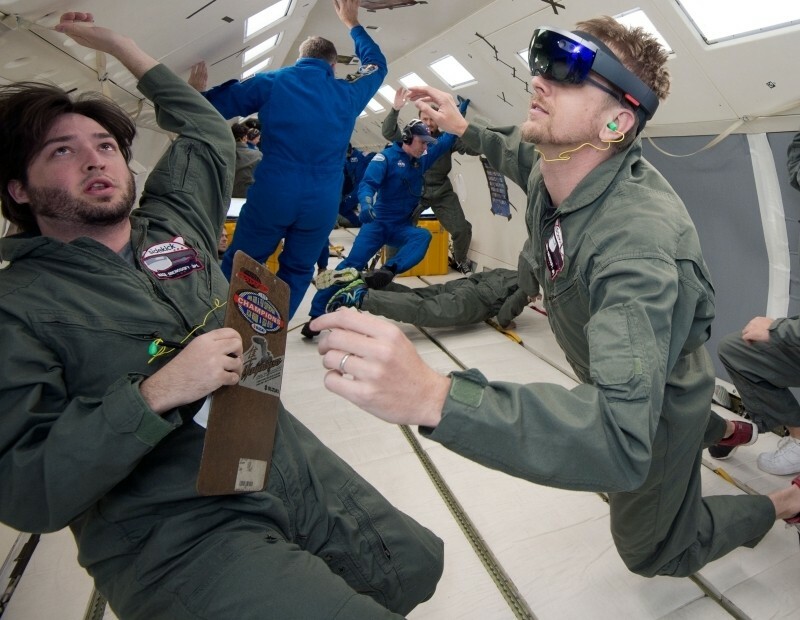 Built around HoloLens, the idea is to use augmented reality in a way that helps astronauts become more efficient and potentially reduce the amount of training needed before an astronaut is sent to space. Two units will be headed to the ISS on June 28 when SpaceX conducts its seventh commercial resupply mission. Ahead of the mission, NASA and Microsoft engineers have been testing Project Sidekick here on Earth using NASA’s Weightless Wonder C9 jet to make sure all of the kinks are worked out. Sidekick will function in one of two modes. Remote Expert Mode uses Skype to allow ground operators on Earth to see what crew members see. This will allow them to provide real-time guidance and draw annotations in the crew environment to help walk them through repairs or experiments. Procedure Mode, meanwhile, will augment standalone procedures with animated holographic illustrations laid on top of objects the crew is working with. This mode sounds more akin to what we’ve seen from HoloLens thus far. Once Project Sidekick is in the ISS, astronauts will run extensive tests on it to ensure that everything is working as it should. A second set of devices will be sent up at a later date. NASA hopes to have the units ready for astronauts to use in day-to-day experiments and repairs by the end of the year.